Patented pin-screw system ensures fast and easy installation. What's more, the clearance needed for door-hinges is easily adjusted by turning the knurled nuts to get the modules slightly off center – whether left-hand or right-hand hinged doors. 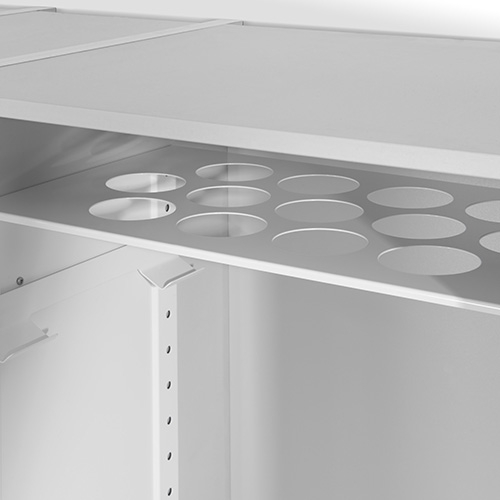 The basis of the system are the innovative pre-drilled metalpanels. 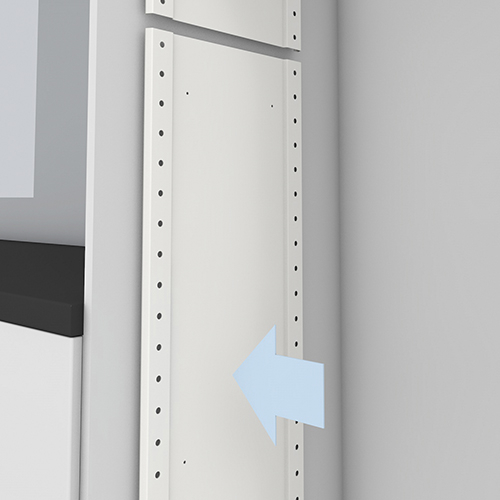 Installed on the left and right sidewall of the cup board, these are used to easily fix all the modules - with no need for any tools. 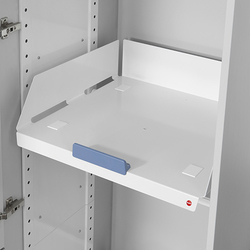 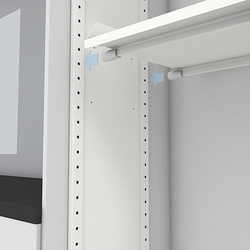 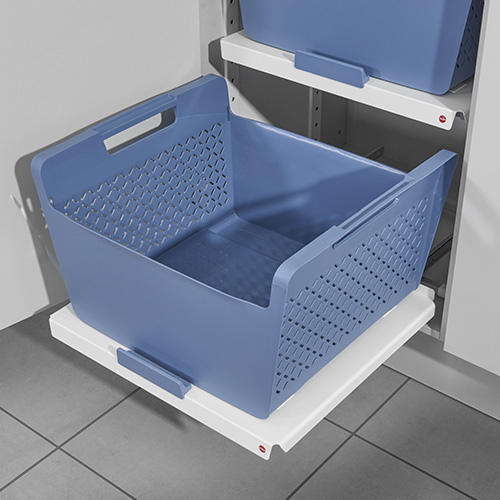 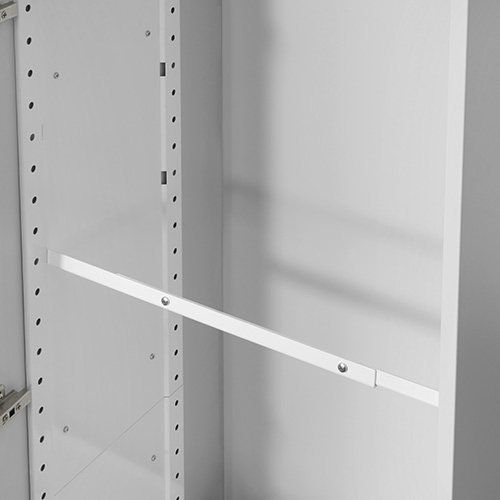 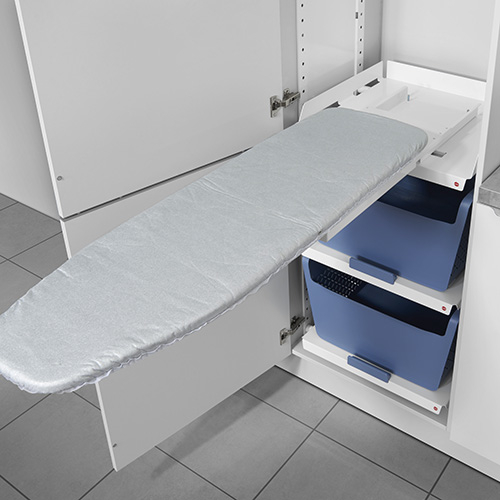 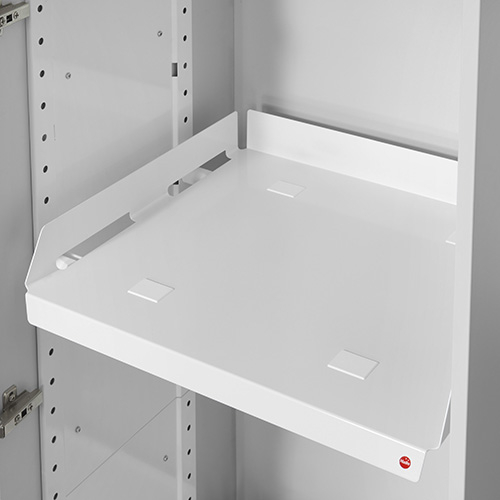 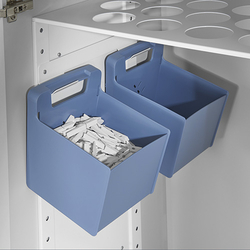 The ingenious "pin-screw system" is suitable for 60cm wide, tall closets with hinged doors, with any standard sidewall thicknesses. 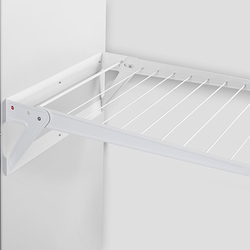 It easily bridges the clearance needed for the hinges – whether those are mounted on the right or on the left side. 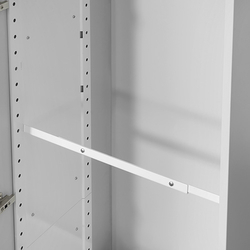 The pre-drilled metal-panels only need to be in - stalled once – it just takes a few screws and then all the pullout modules fit into the attachment- holes, exactly parallel.